Distilleries Scotland reviews each Scottish distillery and the Scottish whisky trail. About Aberdeen have started with the whisky distilleries of Aberdeenshire and below are links to our whisky distilleries Grampian reviews. Further below this whisky distilleries Scotland page are distillery reviews for other Scottish distilleries such as Talisker on the Isle of Skye. Our intention is to visit each whisky distillery in Scotland, take the guided tour of each whisky distillery Scotland and sample many a Scotch whisky along the way! Scottish Whisky Trail and whisky distilleries Scotland tours begins in Aberdeen and the North East of Scotland where there is a long tradition of whisky making. Many whisky distilleries in Grampian have organised tours and whisky tasting and produce some of the finest malts and blended whiskeys in Scotland. Some of the distilleries Scotland tours are free and others, like Aberlour whisky distillery Scotland, have a small admission charge, though after each of these whisky distilleries Scotland tours you usually get a taste of Scottish hospitality by drinking a wee dram to your good health. In the case of Aberlour Distillery Scotland you get to try over 5 different malts and blends and the opportunity to bottle your own malt whisky with a personalised label during their Scottish whisky trail. Whisky Distilleries on the Scottish whisky trail usually include guides who will take you through the production of whisky and the history of each whisky distillery Scotland and the general history of Scottish whisky. The whisky distilleries listed below are set in the heart of Aberdeenshire and Royal Deeside which gives you the added attraction of beautiful scenery and some tasty meals in nearby hotels and restaurants. Do visit the whisky distilleries shops where you can buy a bottle or two of malt whisky, tumblers, glasses, decanters, coasters, clothing and more whisky related items. If you run distillery tours Scotland and would like listed in this section for free then please Contact Me with details such as photographs, tour dates and times and other text you would like added. 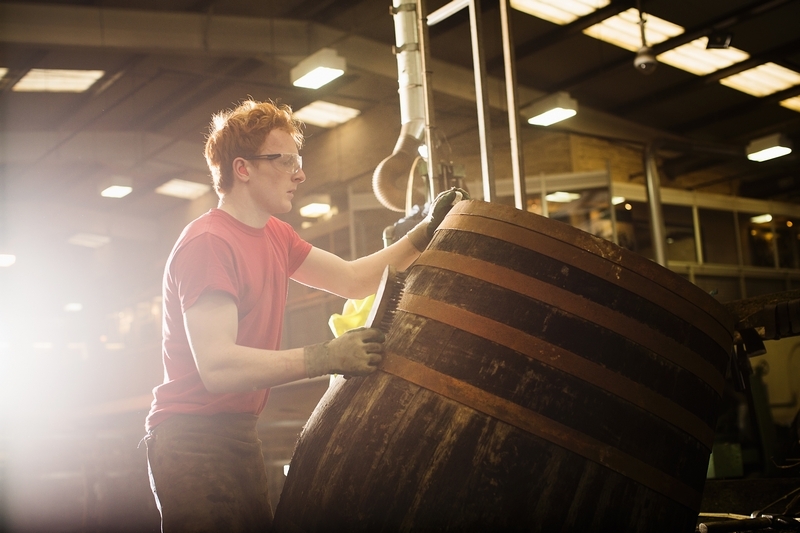 Priority will be given to those who can offer complimentary tickets for a distillery tour Scotland. 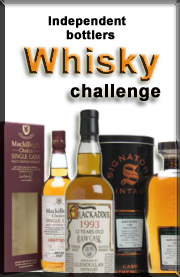 Join Michael the whisky connoisseur who will be presenting Speyside single cask edition Mortlach & Glenrothes whiskies from different independent bottlers only. Plate of cold tapas will be also served. That means 6 glasses of single malt, single cask, un-chill filtered, non-coloured whisky in cask strength all together! Unique whisky tasting which cannot be repeated. The best whiskies of the World in the heart of the Highlands! Whisky tasting in Aberdeen takes place on the 4 November 2010 from 7 to 9pm at The Prime Cuts Restaurant, Aberdeen, 21 Crown Terrace, AB116HD. During this whisky tasting Aberdeen event you will get to know single cask whisky from independent whisky bottler A. D. Rattray and you will discover the Bruichladdich magic. The next topics in this series of Whisky tasting Aberdeen events will discuss maturation and finishing, where the peat come from, where the single cask's magic come from, where the difference of whisky regions come from, ideal whisky age and nosing wheel and whisky chart. On the 20 August 2010 from 7 to 9pm there will be a Whisky tasting "Quest for inamorata" Aberdeen event at The Prime Cuts Restaurant, Aberdeen, 21 Crown Terrace, AB116HD. During this whisky tasting event you will get to learn the taste of a single cask whisky from an independent whisky maker and discover the magic of "Theory of 12 bottles". The whisky maker will also discuss subjects such as malting and distillation, methods of distillation such as the twice and a half distillation method, chill filtering, sherry finish, how to recognize a Noble whisky, peat whisky, the smell of whisky and the different genres of spirits. The distilleries Scotland pictures on this page are of Aberdeen model, singer and the 2006 Aberdeen and Shire Ambassador Amanda-Jane Taylor. The distilleries Scotland photos were taken at Strathisla Distillery, Dufftown - review coming soon for this distilleries Scotland page.